Discussion in 'Off-Topic Discussion' started by sparkyscott21, Sep 8, 2012. 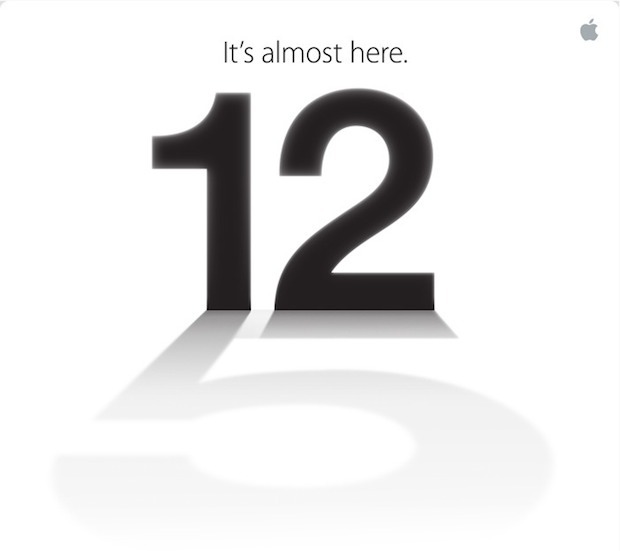 Interestingly, that same invite graphic from Apple shows the number 12" reflecting the number 5", strongly suggesting that Apple will indeed reference the new device as the iPhone 5". There were some suggestions the next iPhone would be called The new iPhone rather than iPhone 5", taking a cue from The new iPad which was so named rather than iPad 3". Colloquially, the devices often end up being called by a number anyway, perhaps a reason for Apple to directly indicate the number 5. Apples iPhone 5 keynote just ended with a performance from The Foo Fighters, and now Apple.com has been updated with official images and details surrounding the iPhone 5 itself. The promotional video Apple showed during the event has also been made available for everyone to see. The marquee features of the iPhone 5 include the new design, 4-inch Retina display, ultrafast LTE networking, and A6 processor. Theres plenty of information from Apple on its website now, so take some time to read through the new features of the iPhone 5.